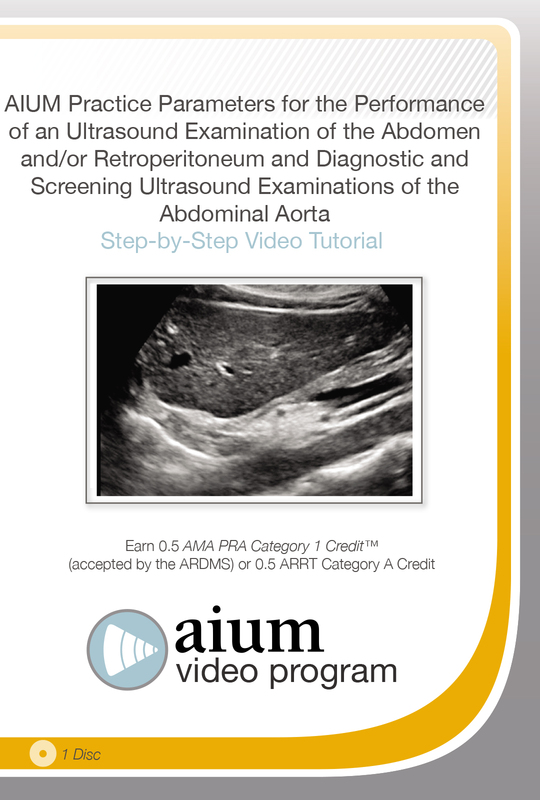 This video is designed to meet the needs of physicians and other health care providers who use abdominal ultrasound. It illustrates the elements included in the AIUM Practice Parameter for the Performance of an Ultrasound Examination of the Abdomen and/or Retroperitoneum as well as the AIUM Practice Parameter for the Performance of Diagnostic and Screening Ultrasound Examinations of the Abdominal Aorta in Adults. After watching this video and completing this activity, the participant should be able to describe the normal sonographic appearance of the liver, gallbladder, pancreas, spleen, bowel and retroperitoneum, kidneys, bladder, aorta and inferior vena cava; demonstrate a complete ultrasound of the abdomen; position the patient properly when performing an abdominal ultrasound. The AIUM designates this enduring material for a maximum of 0.5 AMA PRA Category 1 Credits™ Physicians should claim only the credit commensurate with the extent of their participation in the activity. CME credit for this video program is available through March 1, 2019.